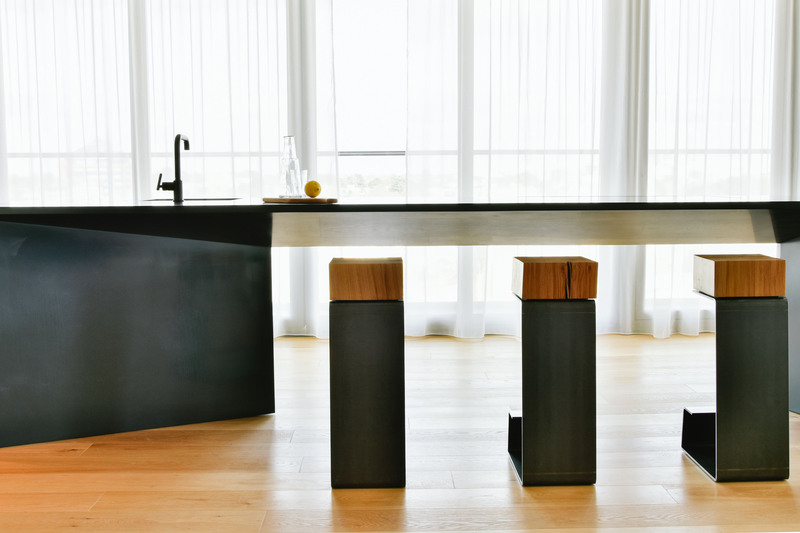 THE LINE Bar Stool seems intriguing for you? Then let’s tell you a little bit more about it! Welcome back to our newest blog post! As promised last week, today we are introducing you to THE LINE Bar Stool. 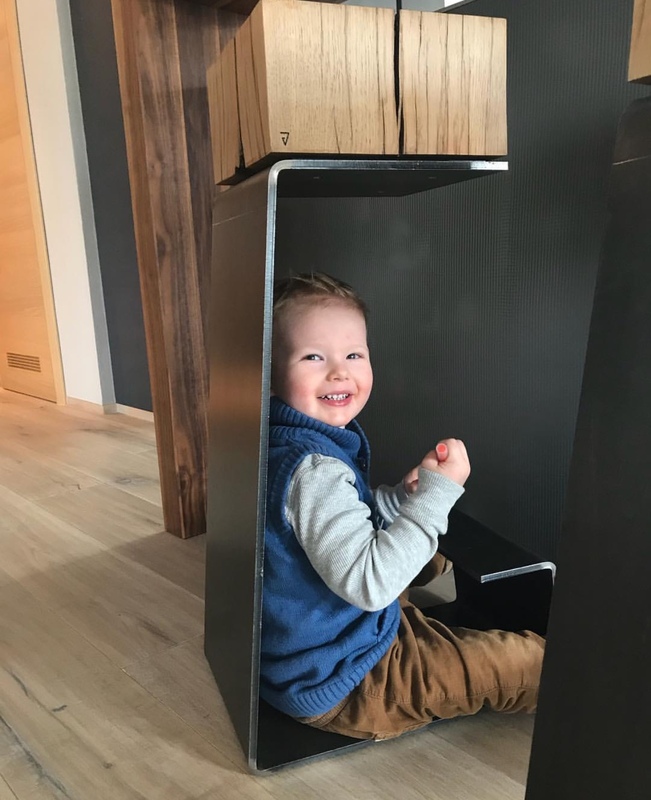 Through the last few months you could have seen on our instagram a few photos showing this stunning member of THE INE Family but it wasn’t saying much about the furniture itself. That’s why in this post we will bring you closer the idea of its creation. 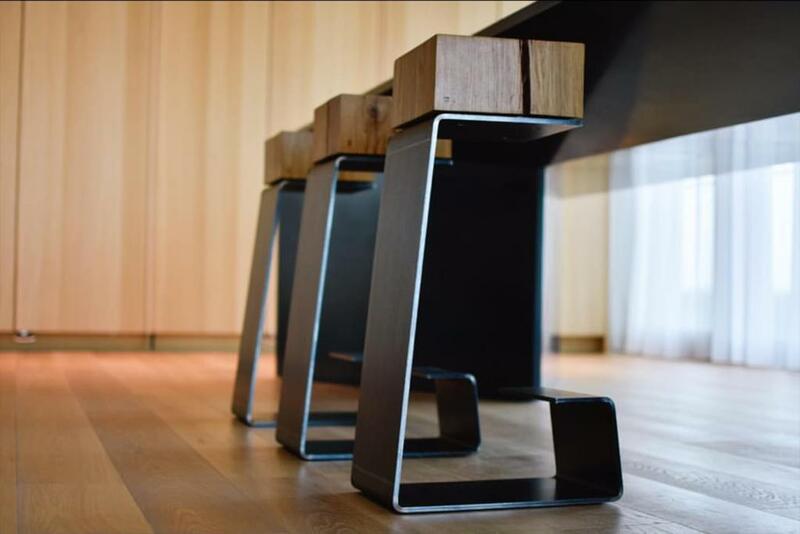 The Bar Stool is also very comfortable and we wanted to share with you how we achieve this without compromising its geometrical look. In the next few minutes you will hopefully be reading about the idea behind THE LINE Bar Stool’s creation. You will also be able to see photos serving as the inspirations for arranging this stunning masterpiece into modern and luxury interiors. We encourage you to leave a comment with your feedback. Enjoy reading! 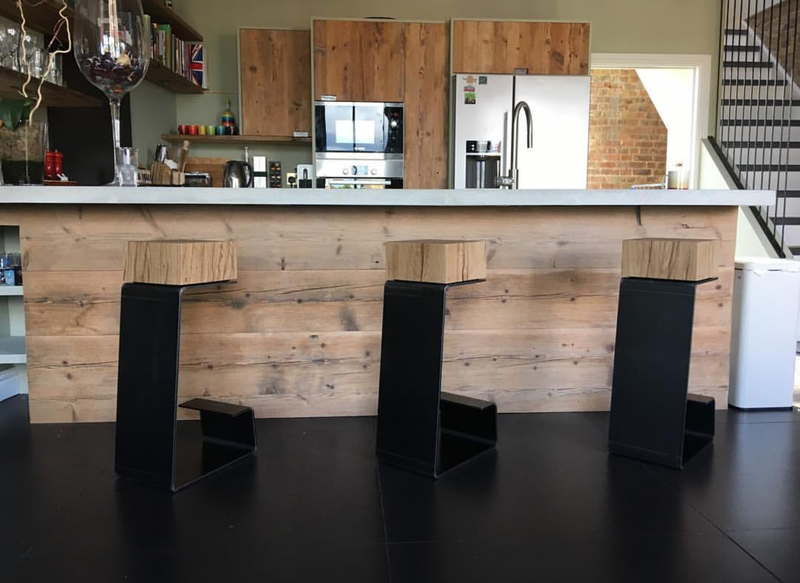 It was a challenge to keep the design integrity and strong minimalistic look of THE LINE collection – and make the bar stool very comfortable. 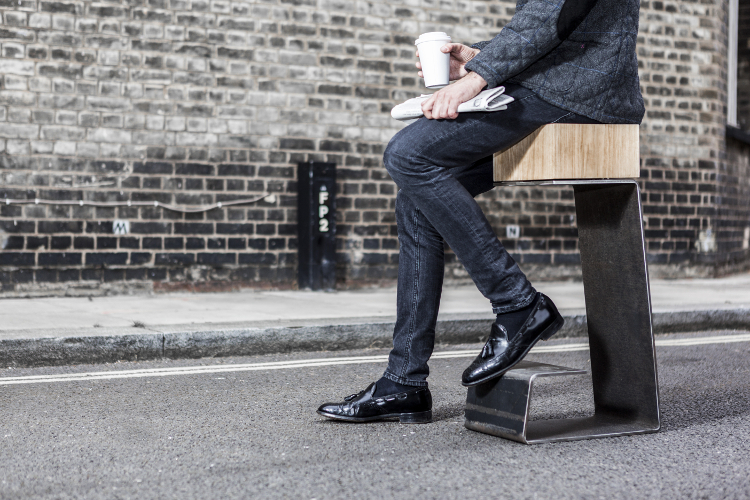 We studied the ergonomics very carefully – eventually we came to the conclusion that the proportion between stool height and foot rest is crucial as this determines the posture in which we seat. 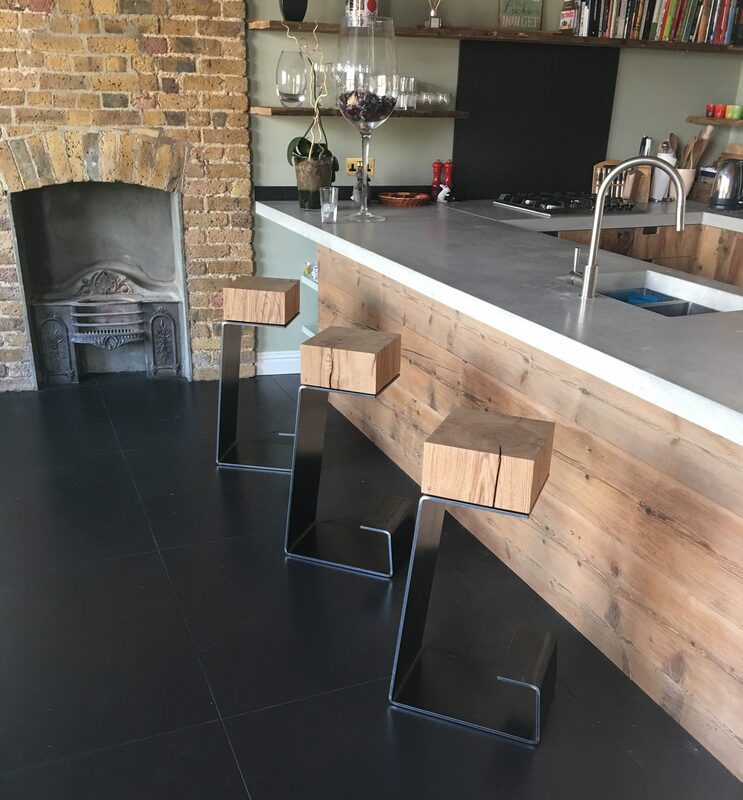 It is all about supporting your lower back, so when we designed THE LINE Bar Stool, we made sure that the height of the oak block seat in relation to its steel footstep allows you to easily rest and support your feet, whichever way you choose to sit. 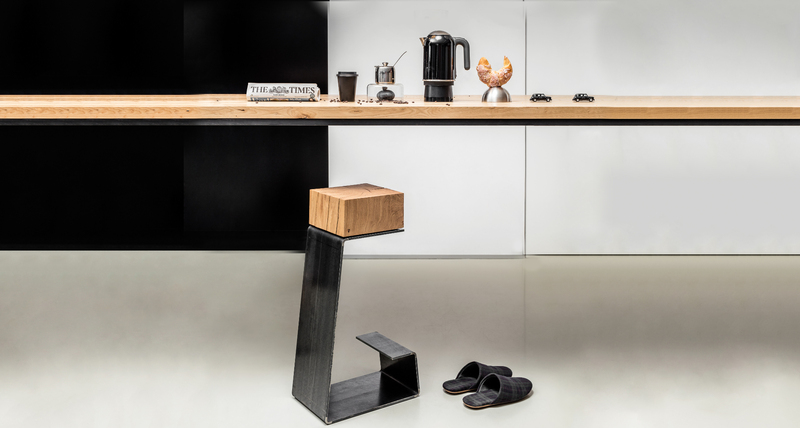 That’s why this stool, despite its very geometrical look, is so unexpectedly comfortable! THE LINE Bar Stool is being created only from the best materials. 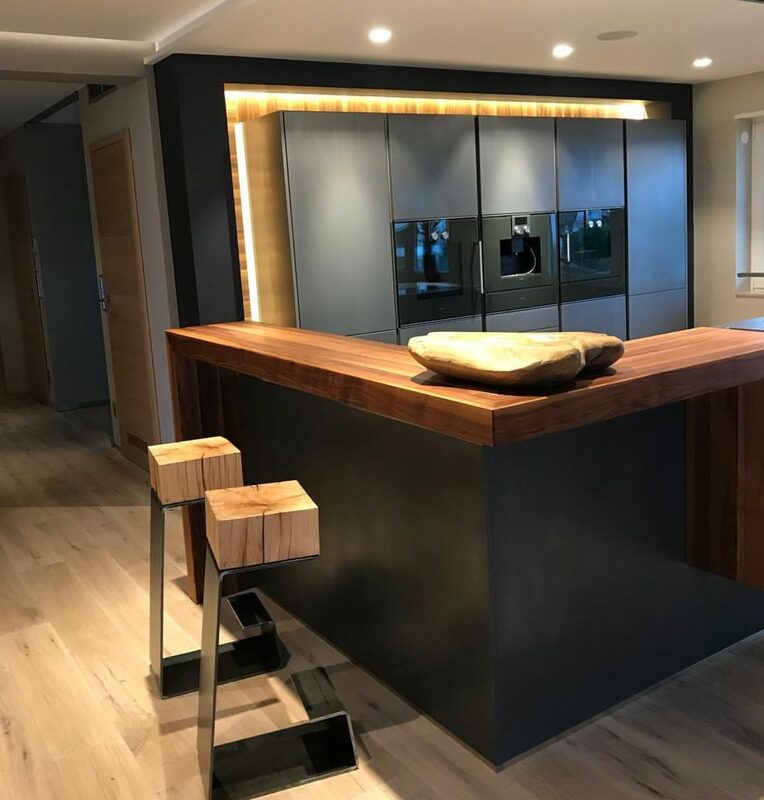 Each oak block is hand-crafted from natural, 200-year matured solid oak, each with its own characteristic pattern of knots and grains that is then treated with a rich finish of high quality varnish. 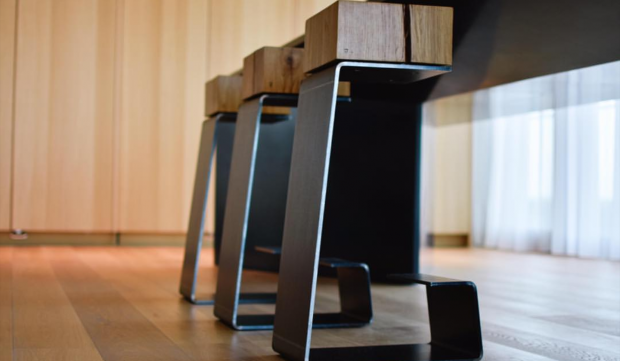 The Bar Stool’s base is made from raw steel treated with a anti rust layer to keep the natural industrial look of the steel. THE LINE Bar Stool has been designed in order to make your interior look modern and stylish while at the same time comfortable. We are sure now that you have no more doubts that THE LINE Bar Stool is not just a simple piece of furniture but it represents the definition of a modern simplicity at the same time making a strong statement with the help of its core materials, Interested in checking it out? Click HERE to visit our store! Follow us on INSTAGRAMt o see our latest blog posts first!